Made to perform during early morning runs or weekly errands, this 7-ounce, 100% polyester feminine double-knit jacket keeps moisture under control and allows maximum movement. 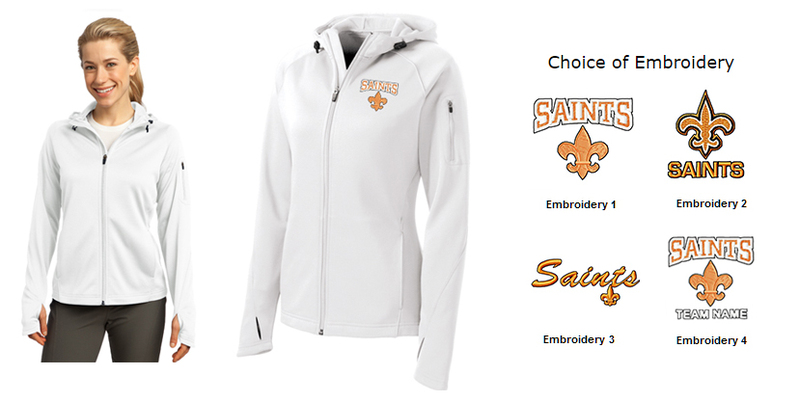 Hood with drawcord and toggles, open cuffs and hem, front pockets and left-sleeve zippered pocket. 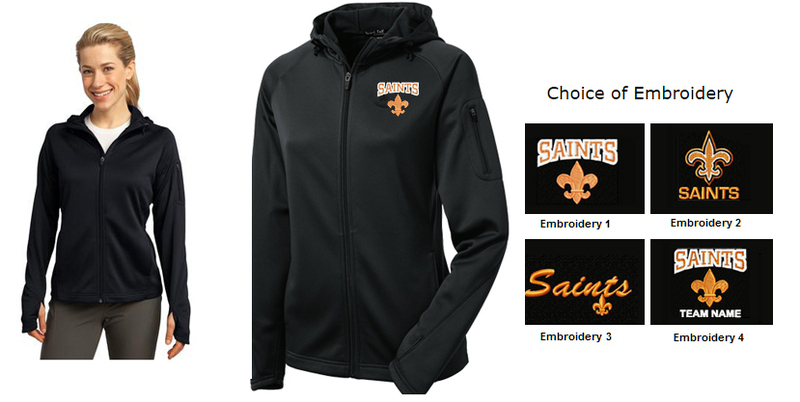 Select Color and Size and Embroidery Option. If customizing, please select your team or group name from the list. If it doesn't appear in the dropdown menu, please select "other" and enter it into the cart text box.